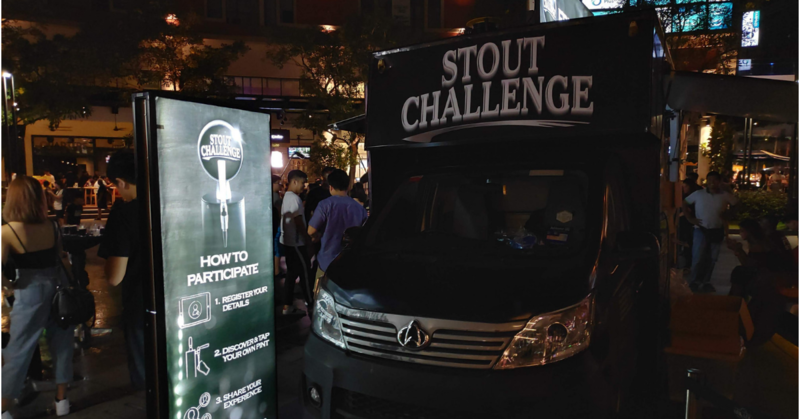 Connor’s Challenge is part of the activation phase for Connor’s Porter Stout, organised by Carlsberg Malaysia. Change, can be a difficult thing to digest. Most people I know have their regular brands; whether it comes to gadgets, clothes, or F&B. At the local pub, most people I know have a “regular” drink, to the point that the bartender doesn’t need to hear anything beyond: “the usual”. The problem with this routine-based pattern is it can act as a barrier to new, potentially better products. Many, including myself, have shunned new products simply because “I’d rather just stick to my tried and trusted Brand X”. 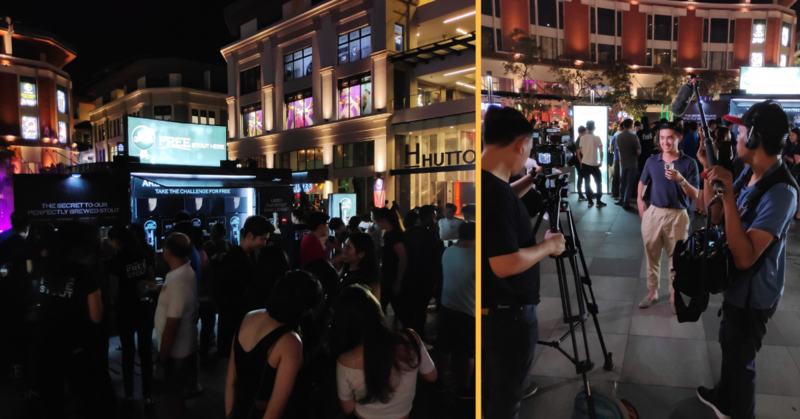 Taking a different approach to introducing a new product to a market that is traditionally a rather rigid one, Carlsberg Malaysia organised a marketing campaign that had several unique and interesting nuances to it. The entire challenge—including the initial activation stage that ran for the month of September and an unbranded website—made no mention of the brand. 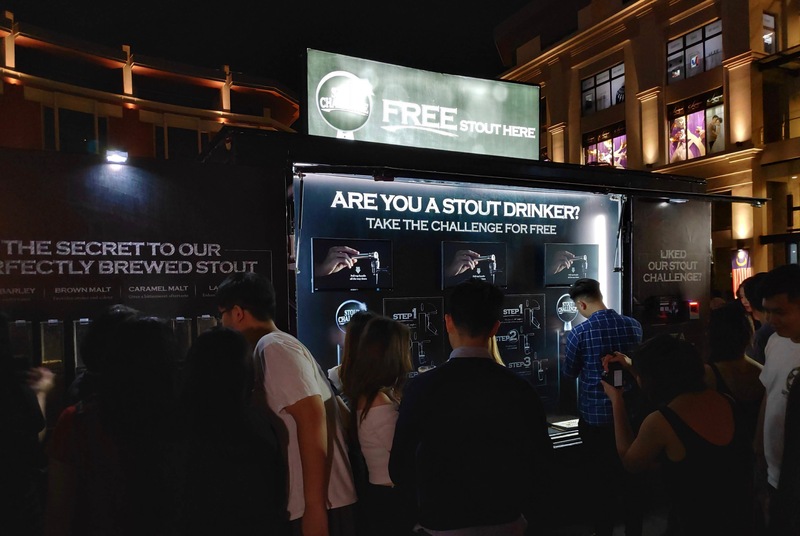 This means that throughout the entire activation stage, participants and the public were oblivious to the fact that they were drinking the product, Connor’s Stout Porter. 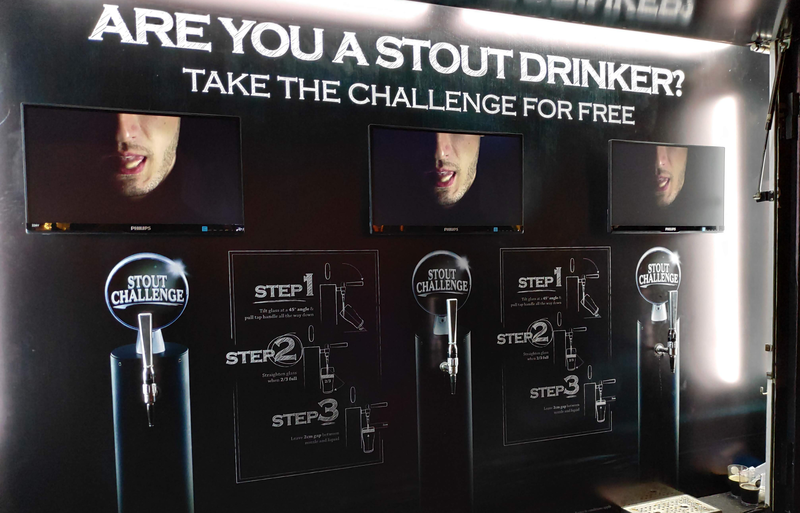 From the the branding of the trucks that were emblazoned with simply: “Stout Challenge”, to the promotional team that was clad in simple black t-shirts, the entire activation phase was done in an attempt to avoid any prejudicial or biased thoughts, regardless of the brand. Malaysians being Malaysians, the crowds swarmed to the activation trucks in the hordes—after pouring yourself a pint, you’re required to take a quick picture (more on that later), before one of the team will ask you for your feedback and a guess on what brand of stout you’ve just had a pint of. With its continued anonymous theme, the activation trucks were designed to spark the curiosity of regular stout-drinkers, with aspirations to get the attention of stout-lovers with different drink loyalties. As a willing participant in the taste test myself, amidst a crowd of eager glasses, a representative of Carlsberg explained the best way to draw a pint of stout, while briefly explaining the various grains that was used in the brewing. This experience, apparently, was part of my journey to becoming a “Stout Ambassador”. Not too shabby, I’d say. Upon finishing the half-pint, the person handling the booth requested that I share a photo of myself, “tapping the perfect pint”. Just like most others, I thought: “Why not”? 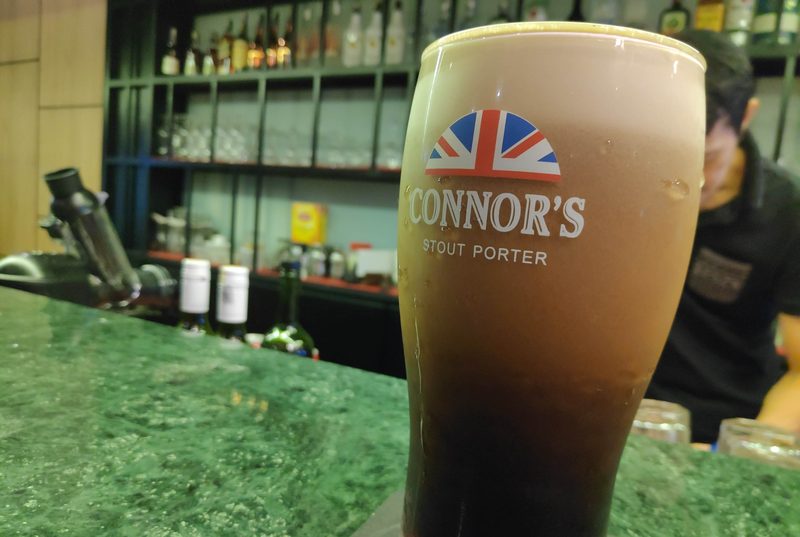 A reward for that brief moment of the Social Influencer (less so for me) life was a voucher for a full-pint of Connor’s Stout Porter, that I quickly redeemed at a bar nearby. The branding of the stout is naturally then revealed to participants. My own share on social media. 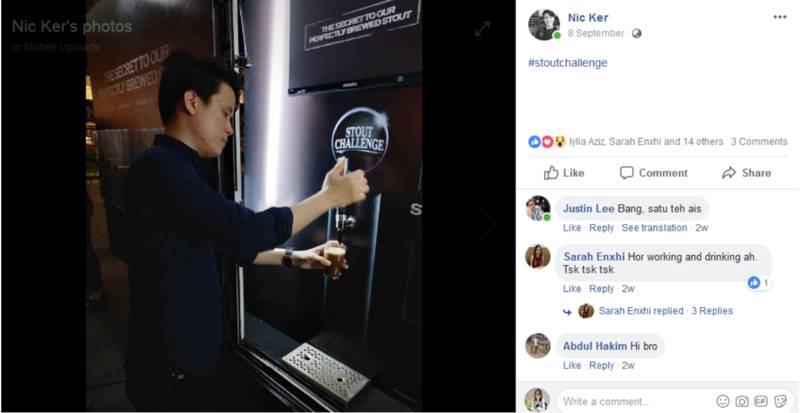 With over 80 activation points (read: free drinks) throughout Malaysia over the span of September, the campaign was an aggressive one. However, the need for such a campaign arguably outweighed the risk, as the market had become dominated by a few brands. The activations themselves were often large, fun affairs. Held at trendy city centres such as the Plaza Arkadia, the campaign was also driven by the challenge of it all. Encouraging friends to take up the challenge alongside each other created a social feeling of camaraderie—which obviously went along with a pint or two. The organisers behind the entire activation phase revealed to me that 12,000 ”Stout Ambassadors” were certified by them over the activation period. 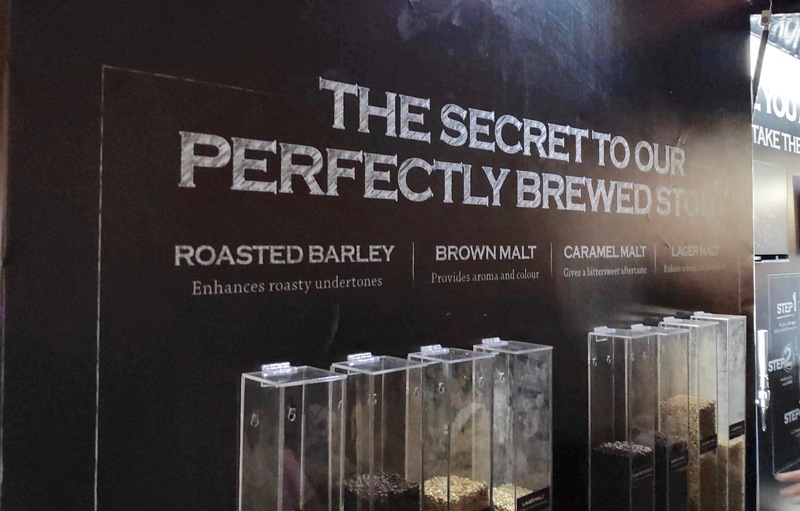 With Carlsberg claiming that the draught stout was created using the original British Stout Porter recipe, the feedback from most participants was tellingly positive. 96% of the participants told organisers in post-drink interviews that they enjoyed the taste of the stout. You had a decently wide variety of participants, with some instantly certain that it was indeed Connor’s that they had drank. Eventually, the organisers revealed the mystery drink that everyone had come to tap a pint of. Unlike a magic trick however, it turns out that the campaign was not based on any sleight of hand—everything hinged on one important crux: the drink. Attempting to find that fine balance between richness and bitterness, Carlsberg had high targets and a simple phrase to sum it all up: “Just Made Right”. With the numbers to show for it (a total of 12,000 people attended their combined events), the interesting aspect of everything is how the organisers managed to create a sample of unbiased, unprejudiced, thirsty participants—all by their own design. Made Just Right, or Not Just Quite? With all the hype over the large-scale campaign undergone, focus has to be brought once again to the drink itself: Connor’s Stout Porter. Much of the experience of drawing a pint of stout was accompanied by an explanation of the ingredients. The presentation of the composition of a pint of stout was certainly interesting, but it all depended on how good of a drink it ultimately was. The process of learning this, to being able to draw a perfect pint, and to do it all in the midst of friends and family, and to have a free drink or two—all leads up to the product being judged for what it is: a great drink. You can find out more about the Stout Challenge here. You can check out Connor’s Stout Porter on Facebook. This article is written in collaboration with Carlsberg Malaysia.